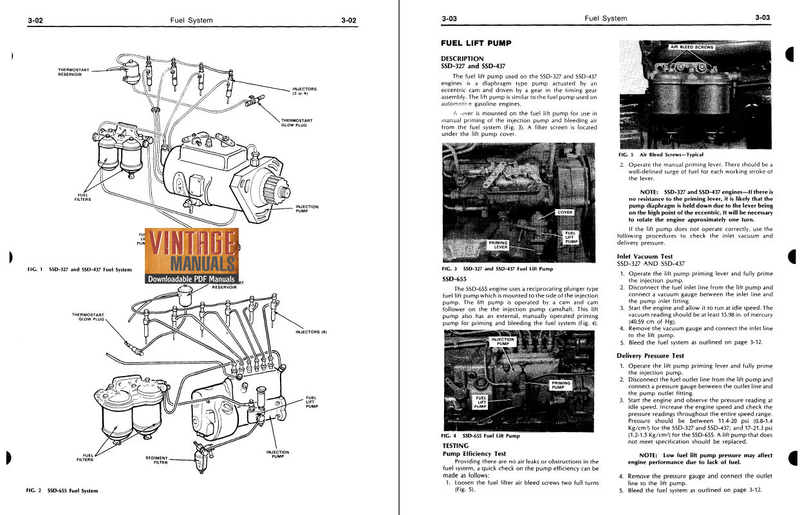 This manual covers service and overhaul of the Ford SSD-327, SSD-437, SSD-655 diesel engines. It includes detailed specs, illustrations and service procedures to guide the mechanic with correctly repairing the diesel engine to the manufacturer’s specifications. This downloadable engine service manual is also known as the repair manual or workshop manual.